Whether you want to learn how to fight smart, build something amazing, or adapt your world with game-changing mods, these books will be your go-to guides. Illustrated with hundreds of color photographs and complete with easy-to-follow directions, the Hacks for Minecrafters books are packed with expert tips, cheats, and hacks. 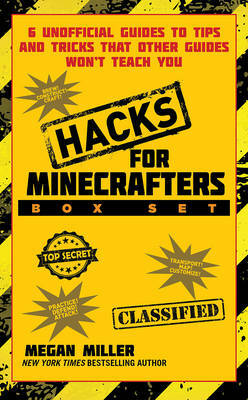 The Hacks for Minecrafters Box Set is the perfect gift for any Minecraft fan.